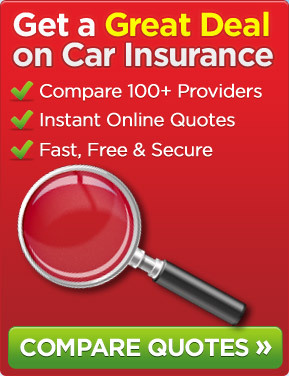 Motorists will be disappointed to read that there has been another rise in car insurance premiums here in the UK. This is unwelcome news and let us hope that in 2019 this pattern is reversed. According to the Confused.com car insurance price index that is produced with the assistance of Willis Towers Watson the average price paid by drivers in the last quarter of 2018 for a fully comprehensive car insurance policy stood at £774 per annum. That is an increase of £14 per annum when compared with the previous quarter with this equating to a rise of 2%. On a regional basis, most saw a rise in premiums in Q4 of 2018 with Northern Ireland seeing the biggest increase – a rise of 7% with this equating to an increase of £58 per annum to an average of £931 per annum. The most expensive region to insure a car is in Inner London with the average premium for comprehensive cover being £1,169 per annum. The South West has the lowest average premium at £558 per annum. Age plays a significant part in how much insurance companies charge and as a general rule the younger you are the more expensive the cover is. Having said that, an 18 year old, on average, pays more for their cover than any other age with the average premium in Q4 of 2018 being £1,983 per annum yet the average premium paid by a motorist of 17 years of age is £1,855 per annum. This later figure is £98 per annum less than in the previous quarter. A 21 year old is paying an average of £1,599 per annum and a 34 year old is being charged an average of £671 per annum for fully comprehensive cover. As for gender, a woman is paying an average of £98 per annum less for their car insurance than a man. It is important that if your car insurance is coming up for renewal or you are seeking motor insurance for the first time that you shop around to try to get a competitive deal as there are so many insurers offering such cover. One of the ways of doing this is via one or more price comparison websites. They are quick and simple to use and it is sometimes even possible, having chosen the cover and insurer you want, to set up and pay for the cover online or over the phone. This entry was posted in News and tagged car insurance, Confused.com Car Insurance Price Index, fully comprehensive car insurance premiums. Bookmark the permalink.